We consider you as NO SHOW, if you do not show up by 11:00 PM WITHOUT NOTICE. 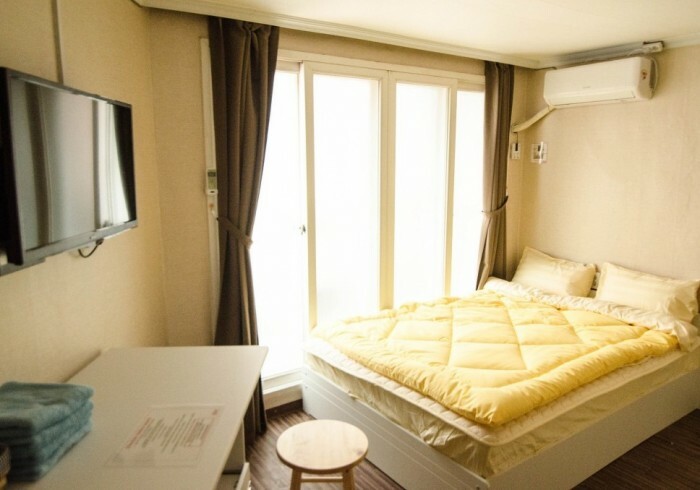 Yakorea hongdae hostel is based in the middle of Hongdae and Sinchon,which is the heart of all the fun.The hostel itself boasts very spacious rooms. We offer private rooms that can accommodate up to 6 persons and all rooms come with fully equipped kitchen and bathroom.Our location offers you great accessibility and ease of access to transportation. We are nearby the Seoul Metro, and are easily accessible via the Airport Express (AREX) train and airport limousines.